Last week, BAM and Garth Fagan Dance came together to celebrate two cultural milestones: the 30th edition of the BAM Next Wave Festival and the 40th anniversary of Garth Fagan Dance. 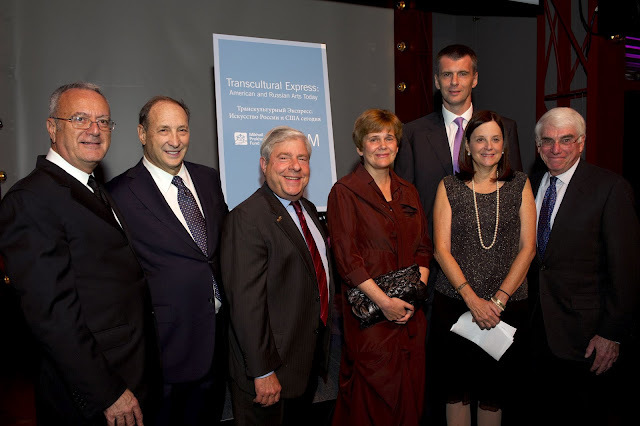 The evening also included a cocktail reception hosted by the Mikhail Prokhorov Fund where we unveiled a new three-year partnership: TransCultural Express: American and Russian Arts Today which promotes cultural exchange between American and Russian artists and audiences. 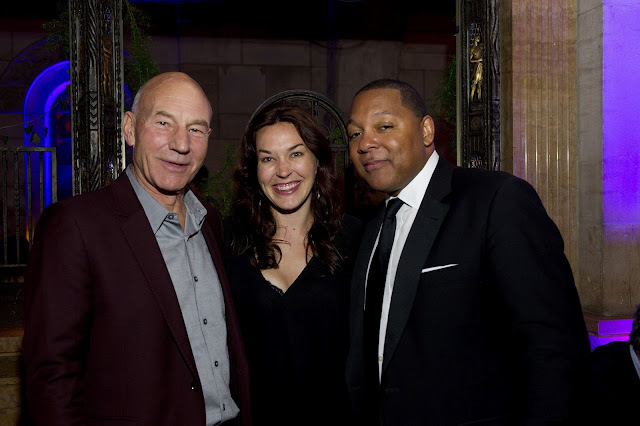 The gala attracted a range of prominent cultural figures including Brooklyn Nets head coach Avery Johnson, Sir Patrick Stewart, Philip Glass, Anna Kendrick, and of course the night's featured jazz legend, Wynton Marsalis. Read on for highlights from the event including some of our favorite photos. Full Event Albums can be found here and here. The celebration began with a cocktail reception in the BAM Lepercq Space, sponsored by the Mikhail Prokhorov Fund and featured Elit Vodka concoctions. At the reception Mikhail Prokhorov and Irina Prokhorova along with BAM President Karen Brooks Hopkins announced the TransCultural Express: American and Russian Arts Today partnership which you can read about here. Program details coming soon! 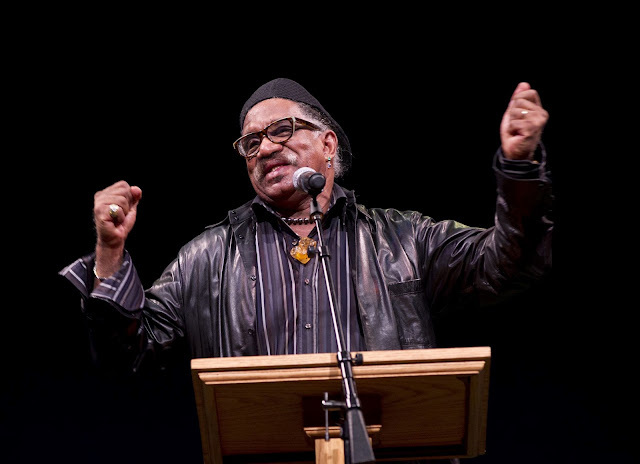 Guests then proceeded to the World Premiere of Lighthouse/Lightning Rod, the latest collaboration between the award-winning choreographer Garth Fagan and the inimitable jazz musician Wynton Marsalis as well as excerpts of Griot New York, which premiered at the Next Wave Festival in 1991. After the performance guests made their way around the corner, past the brand new BAM Richard B. Fisher Building to Skylight One Hanson for a festive gala dinner. Guests were joined for dinner by the company members of Garth Fagan Dance as well as the musicians from the Wynton Marsalis Septet. Skylight was transformed by inspired decor by Fleurs Bella including a towering drift-wood tree that greeted guests as they entered the main hall. 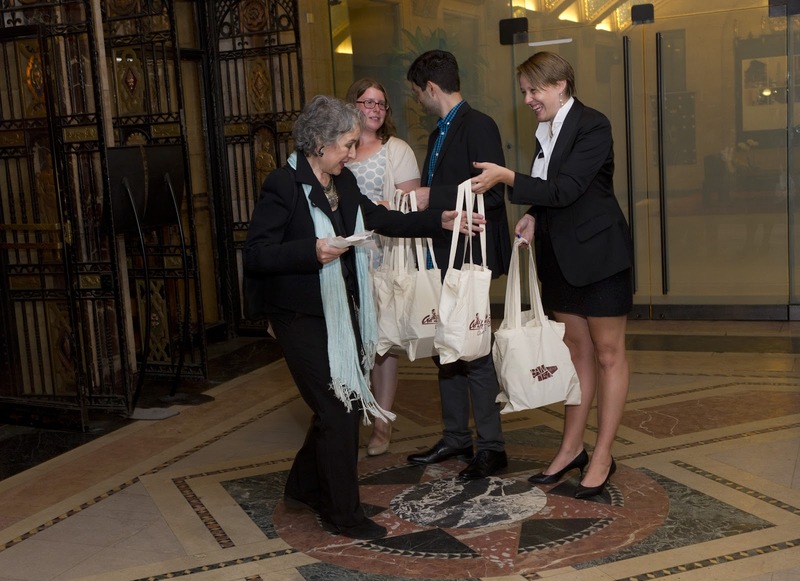 The evening ended with coffee, cookies, and gala gift bags for guests as they headed home. Harvey—House of Pain No More! What’s Cooking in the Furnace?